Our Massachusetts Value Notary Kit contains the essential supplies you need to get started as an official Massachusetts Notary Public. 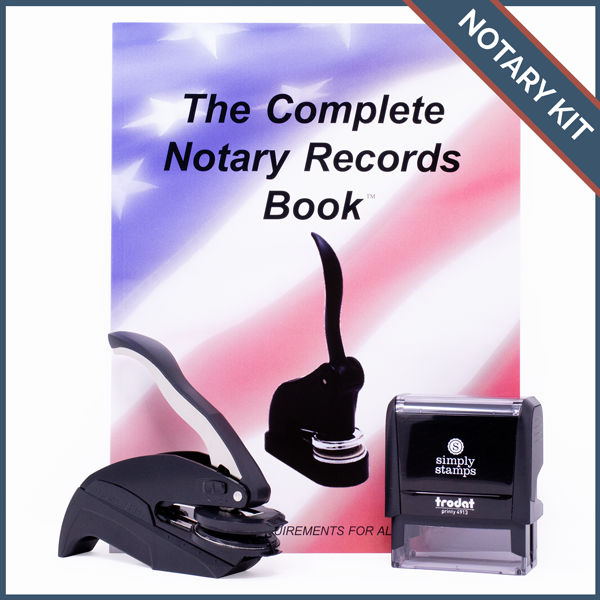 Whether you are a new notary or you are updating your stamp or seal, our Massachusetts Value Notary Kit contains exactly what you need, plus a Notary Record Book to help you stay organized. Be ready to notarize documents and record each one with our Massachusetts Value Kit that contains the latest Massachusetts-recommended seal and stamp design, along with a records book. Our products are updated to meet Massachusetts recommendations. Notary stamps are available in self-inking, pre-inked and hand stamp models, and our embossing seals are available in desk and pocket styles. Need help? Read our handy Massachusetts Notary FAQs.